Wearing a chain around one’s neck to remember the weight of one’s sin. Or leading a life of complete celibacy in order to focus more on the divine. What is asceticism, and how are the ancient practices of asceticism relevant to 21st Century theological conversation and praxis? In other words, what purpose did asceticism serve for early Christians and is asceticism still relevant today? Popular evangelical theologian, John Piper, seems to think it is as relevant today as it was for the early Desert Fathers and Mothers and has used it to support his idea of “Christian Hedonism.” I suggest that Piper’s version of asceticism and his view of its role in modern Christian discipleship are skewed and misdirected; further, I suggest that asceticism is useful today in Christian theology and praxis but only insofar as it is practiced for the sake of our neighbors and not for avoiding idolatry. … more on that to come. Asceticism in early Christianity was defined by devotees renouncing worldly pleasures (sexual, familial, monetary, social, etc.) for the sake of spiritual ascent. The Desert Fathers and Mothers are oft referred as “ascetics,” they lived around 300-500 CE in remote desert areas of solitude. Some of their practices were literal and extreme, such as one wearing a weighty chain around one’s neck to be consistently reminded of the weight of one’s sin, or fasting from sleeping and eating for days to focus on prayer. Richard Finn on Oxford Bibliographies offers a helpful general definition of asceticism here. Asceticism grew during a time in which the Roman political authority was imperializing Christianity. You see, Christianity was evolving from a subversive, persecution-filled experience to a state religion under the Roman Emperor, Constantine. A martyr’s death at the hands of Roman officials for one’s faith was not necessarily an empire-wide reality any longer, rather, it was but a memory for these early Christians. Martyrdom was held as one of the highest Christian acts; it was an ultimate act of inversion as persecutors sought to degrade and stamp out Christians. It achieved the opposite, giving martyrs a high honor in the faith. It was a literal manner of giving up one’s earthly, sinful body to emulate Christ in his sacrifice; in other words, it was a way of spiritual ascent. Many of the martyrs are still venerated in church traditions today.1, 2 So, if persecution was no longer a widespread threat, how did Christians achieve spiritual ascension? But what if the church was too close for comfort to the Roman government? What if the ideals of the faith had been watered down? What if bishops were controlled by the emperor? Better yet, what if the emperor was venerated as a deity? Moving away from church and state authority, ascetics chose to reside in the solitude of the desert, finding spiritual ascent in self-denial of worldly pleasures. Their teachings began subsuming anti-empire sentiments during a time when the debate of authority was rampant. There is no doubt that ascetic teaching was a valuable theological practice for early Christians, but it also could very well have been a subversion of church authority with the intent to place that authority in the hands of those who were willing to adopt lives of renunciation. 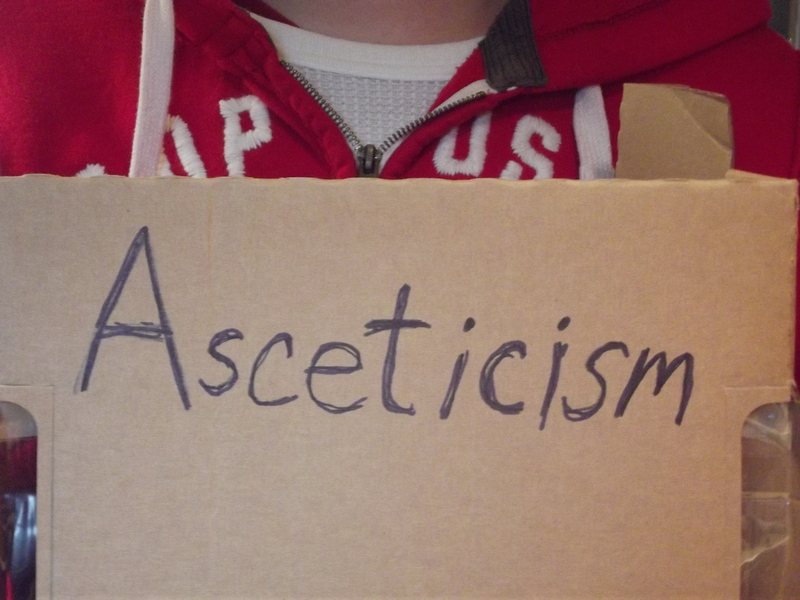 So is asceticism relevant today? Rev. Dr. John Piper thinks so. So Piper finds that full pleasure in God leaves no room for other idols; he sees asceticism as a litmus test for determining the presence of idols. The denial of self in order to achieve spiritual ascension. Sound familiar? Perhaps asceticism is relevant today, but not Piper’s version. Spiritual discipline and self-denial is valuable to one’s faith, and honestly, one’s sanity. I suspect a deep and profound experience can be found in prolonged solitude and prayer. But in a society of gross economic, sexual, and social injustice, Piper chooses to focus on denying self, not because one’s neighbor is in need, but because denial helps avoid idolatry. And then he calls it saving faith. It takes a fairly privileged view to maintain this theology. Such a theology seems to have not considered hunger, marginalization, or economic despair. To say that the highest calling of a human is to find pleasure in God is to assume an entirely heavenly vision, but what if one does not have the privilege of looking up because one cannot see past the hell? There is a place for self-denial in Christian faith BUT it is needed because of our neighbor’s lack and not because it is the way to avoid idolatry or a way for our salvation. A sole focus on Christian hedonism clouds the church with a focus on inward, ascetic worship while there is much to be done outside the church in the ways of justice making. I suggest that we get back to the basics of believing that if we can even possibly know how to glorify God, that God is most glorified when we love God and when we tend to the imago Deo in our neighbors by our love for them. I suggest that the self-denial of asceticism is important in our theological praxis, but only insofar as it stems from our neighbor’s lack. I suggest that if we have a highest calling, it must be to love, living ethically in that love. The way of choosing love is salvific. So in summary, does asceticism have merit in 2013? Yes, I believe it does. So let us practice self-denial and renunciation. Let us renounce the pressure we are under to achieve the American Dream at the cost of other’s lack. Let us renounce the willful ignorance that we become comfortable in. Let us renounce our fear of those who we think are not like us. Let us give up what we think is ours so that we may share it with our neighbors. 1. Wilken, Robert Louis. The First Thousand Years: A Global History of Christianity. New Haven: Yale University Press, 2012. 2. Harmless, William. Desert Christians: An Introduction to the Literature of Early Monasticism. New York: Oxford University Press, 2004. 3. Piper, John. 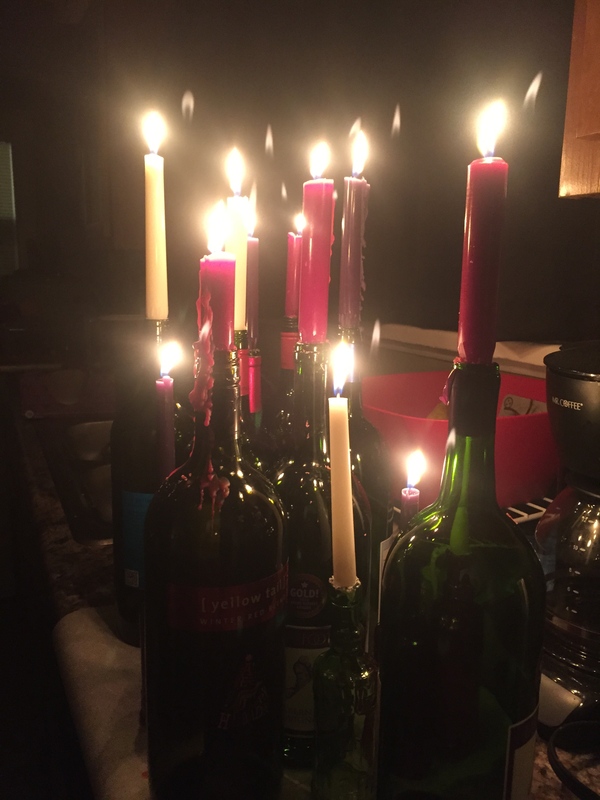 Desiring God: Meditations of a Christian Hedonist. Colorado Springs: Multnomah Books, 2011.